Install PyTorch (tested on release 0.4.0 and 0.4.1). Clone EDSR-Pytorch as backbone training framework. 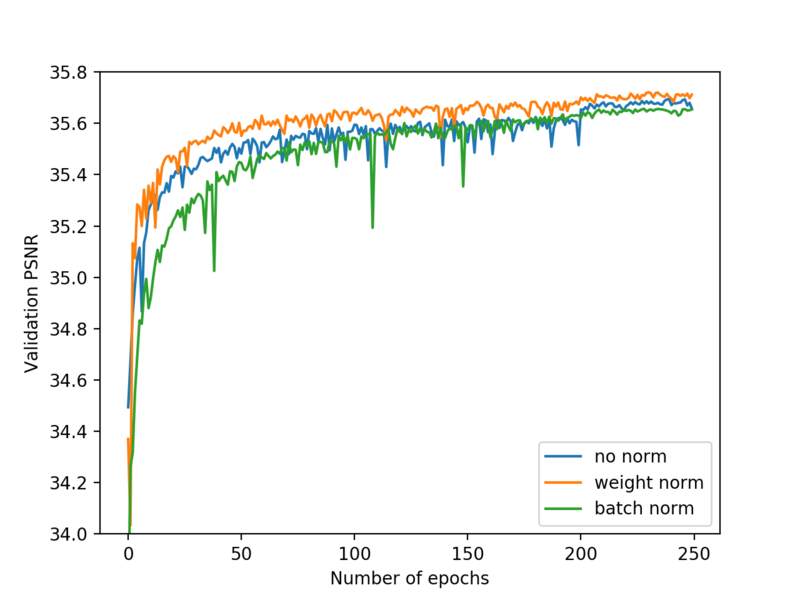 Copy wdsr_a.py, wdsr_b.py into EDSR-PyTorch/src/model/. Modify EDSR-PyTorch/src/option.py and EDSR-PyTorch/src/demo.sh to support --n_feats, --block_feats option. Launch training with EDSR-Pytorch as backbone training framework. We measured PSNR using DIV2K 0801 ~ 0900 (trained on 0000 ~ 0800) on RGB channels without self-ensemble which is identical to EDSR baseline model settings. Both baseline models have 16 residual blocks. Comparisons of EDSR and our proposed WDSR-A, WDSR-B for image bicubic x2 super-resolution on DIV2K dataset. Left: vanilla residual block in EDSR. Middle: wide activation. Right: wider activation with linear low-rank convolution. The proposed wide activation WDSR-A, WDSR-B have similar merits with MobileNet V2 but different architectures and much better PSNR. 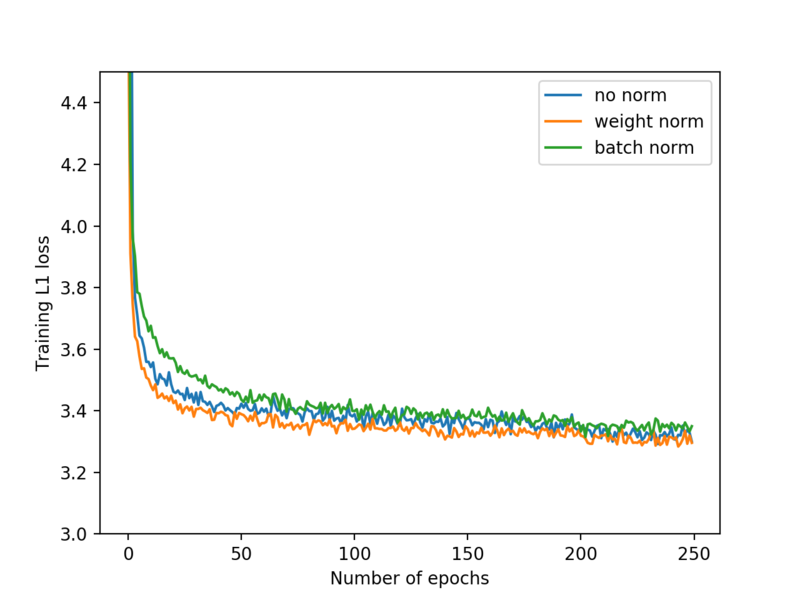 Training loss and validation PSNR with weight normalization, batch normalization or no normalization. Training with weight normalization has faster convergence and better accuracy. doccano is an open source text annotation tool for human. It provides annotation features for text classification, sequence labeling and sequence to sequence.